HALLIEEPHRON: There’s a terrific new book out there, PLOT PERFECT, for writers who are as at sea as I once was when it comes to plot. 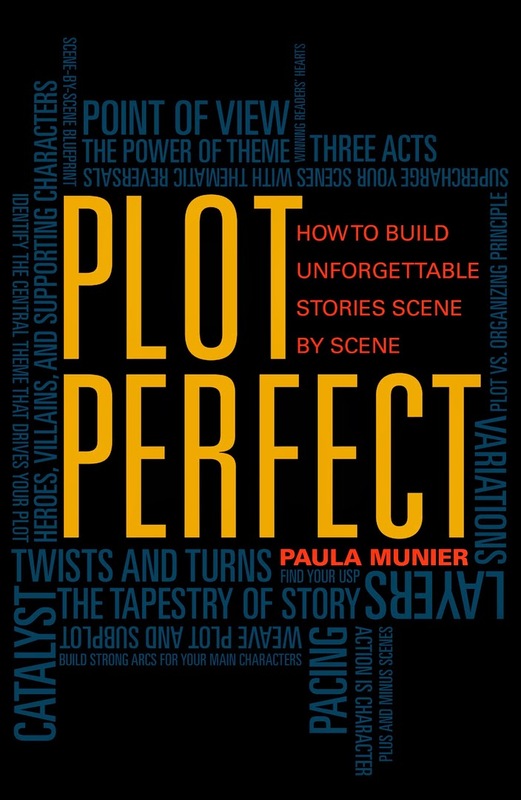 Written by prolific writer and former acquiring editor for F&W Media, literary agent Paula Munier, it reveals and dissects the invisible scaffolding of plot, from theme to organizing principle to structure to scenes. I only wish I’d had it when I started writing. 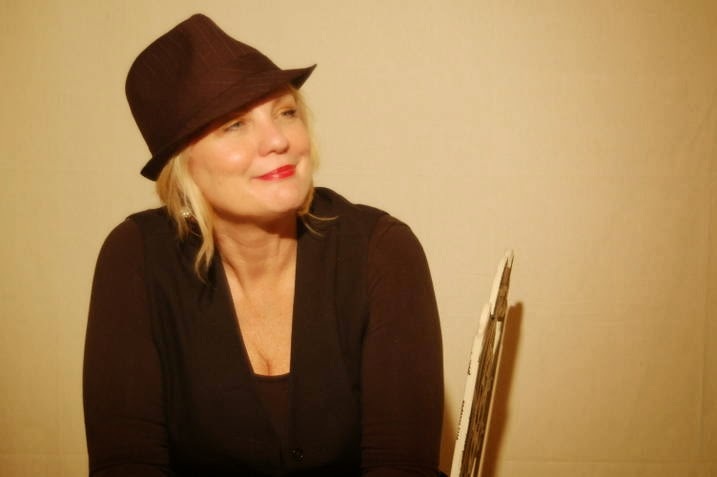 Today we're happy to have Paula Munier on Jungle Red! Paula, what was one of frequent plot problem you were seeing in queries and manuscripts that you address in the book? Pacing. Typically, the beginning is too slow, the middle is too boring, and the end is too rushed. The protagonist does not drive the action from beginning to end. HALLIE: Writing this down, because as many books as one writes, these are still fundamental problems. I'd add a third one for me: Stakes. Creating a situation in which the protagonist is FORCED to drive the action. PAULA: Sure. The three-act structure can be intimidating—until you realize that it’s just the beginning, the middle, and the end, broken down into scenes. HALLIE: I get into arguments (who me?) with writers who insist that they can write a book from an omniscient viewpoint. Do you think these days that flies? PAULA: Omniscient POV is considered very old-fashioned these days. It’s a red flag for editors; they assume that you don’t know your craft well if you are using omniscient POV. It can mark you as an amateur. I won’t even try to sell a project written in omniscient POV—even in SF/fantasy, which is the only place you really ever see it these days. HALLIE: Wow! Well, next time I have to defend my position, I'm going to quote you. What about “write scenes.” Is that a rule you can slide by without these days? PAULA: If you’re writing commercial fiction, you really need to focus on scenes. (This is especially true in crime fiction, where pacing is everything.) Write those scenes in an original voice and you’re golden—because you’re giving the reader the best of both worlds, literary and cinematic. 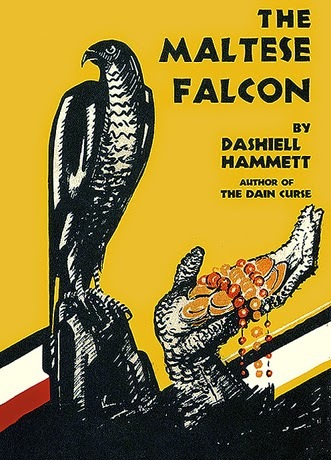 HALLIE: I love the examples you use throughout the book, in particular The Maltese Falcon. What can someone learn about writing a novel from reading it? PAULA: The Maltese Falcon is a jewel of plotting. Hammett created the iconic private detective in Sam Spade, and the quintessential femme fatale in Brigid O’Shaughnessy–and he puts them through their paces in this story. The action never stops, and yet the world in which the action takes place is morally complex. The main plot and sub-plots mirror the themes and variations on theme—and these threads are all tightly woven together in a seamless tapestry. HALLIE: What’s your favorite author who breaks all the “rules”? PAULA: Alice Hoffman breaks a lot of rules in her books. She writes what she calls “Yankee magic realism,” stories that are modern-day fairytales. 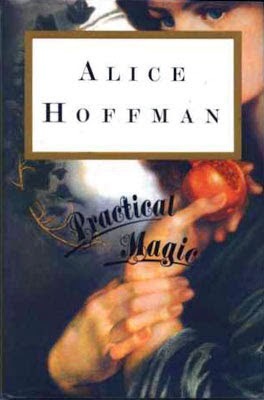 Readers love fairytales; they know the form and that form allows Hoffman to break the rules. Of course she’s a splendid writer—and that helps! HALLIE: So, Red Readers, if you’re looking for a gift for a writer on your holiday list, think of Plot Perfect. Hot off the presses at Writers Digest Books. Paula will be dropping by today to field your questions about writing. I’ll start with: what makes a great title? This is absolutely fascinating. All this sort of feels like there is so much more to telling the story than simply telling the story. You mention writers that break the rules . . . are there rules that are sacrosanct, that cannot be broken? Also, I've got PLOT PERFECT sitting on my desk, Paula, pages already dog-eared. I'm a writing-craft/plotting junkie and yours is one of the best I've read. Love it! I know about having a body in the first chapter and no prologue allowed; any other annoying newbie mannerisms? I'll put my main character in the driver's seat during my next round of revisions and make sure she stays there. This sounds like a great book on process and craft. Paula certainly knows of what she speaks. I think the "rules" are always changing. If someone comes along and does a rule breaking book well, suddenly, that rule is no longer sacrosanct. The best advice is always to write what feels "right" and you will be on the correct path. There are rules--and you break them at your peril, especially when you are just starting out. Remember Picasso: He learned to draw and paint by the rules before he started breaking them. The rules I see broken most often concern plot, POV, and the elements of style. Hallie, titles are critical. A good title can sell the book practically on its own. Hollywood spends a fortune hiring specialists to come up with good titles. I have a whole section on this in Plot Perfect. If you're having trouble coming up with a title, look up the titling conventions of your competition. For crime fiction, common conventions include, setting (Mystic River), action (Get Shorty), songs/cliches/sayings (Along Came a Spider), etc. Edith, you're plotting intuitively just fine. Which is what a lot of writers do. In the book I hope to help people take a more deliberate approach--just as I've learned to do with my own work, as well as that of all the writers I've worked with as an editor and agent over the years. Titles are important. If you are writing a series, then you need to think about a titling convention that works for lots of books. The best example of this is Sue Grafton's A Is for Alibi, which set her up for 26 bestsellers! Hank's titles are short and punchy and paint a picture of plot in a few words: The Other Woman, The Wrong Girl, Truth Be Told. Thematic titles are good for crime fiction too (Presumed Innocent). 1) Stick to third-person limited POV; 2) Only one POV per scene; and 3) Only six POVs per book (Hero, villain, victim, etc.). No first-person POV, 1 POV for the book? Say it ain't so, Paula! Margaret, Hallie's right, per usual. If you really need a prologue, fine. Just give it a time/place stamp instead of calling it a prologue (Berlin, 1939; Paris, 2050; whatever). The question is, do you really need one? Same goes for the body in the first chapter. Great if you can do it--but if you can't, ask yourself if you REALLY can't. In too many novels, you could cut the first 50 pages and the reader would never notice--because those first 50 pages were what you needed to know to write the book, not what the reader needed to know to read it. Kristopher, of course you are right. You can make the case that all genius writers break the rules. But we're not all geniuses, especially when we start out. You have to master your craft (learn the rules) before you can start reinventing it. Oh, Hallie, of course, first-person POV is my personal fave. I was talking about third-person POV, which is where most writers go wrong. But ever since Gone Girl, writers are trying out multiple first-person POV, which is a very tricky business and most writers should not try that at home. Oh, I have your fabulous life-saving book right here--and it's incredible. Thank you so much for the title pats-on-the-back. And yeah, it's amazing all the ramifications of title. I try to make the titles mean more than one thing (which you know from reading the books. There's more than one other woman, and more than one wrong girl. And "other" and "wrong" can mean many things. We decided to break out of the THE ADJECTIVE NOUN to give the series more longevity... we worried that at some point, the title would be driving the book instead of the other way around. Oh, also, the POV thing. I wanted to write Jane in first person and Jake in third. But my agent said no no no. I still want to, I must say! What's your take on that? Isn't it funny how there's always another good fabulous unique title out there? Read your book ( the first time) on the way home from Crime Bake. Such wonderful and concise information - thanks. I think what stood out for me the most was the whole idea of weaving ideas and subplots in a systematic manner. Do you ever find an author has added too much subplot into a book? Paula, how did you know? I eliminated the prologue early on, and more recently, chopped off the first six chapters, condensed the action leading up to the murder, and ended the first chapter with the MC finding the body. I saved a few scraps of backstory to weave into the next chapters. And it's a much better read. Yes, that's the cool thing about your titles--that you pack so much meaning and layering of meaning in so few words. Hi Karen! Thanks for reading Plot Perfect! As for too many sub-plots, the trouble is usually not so much that there are too many sub-plots but rather that they are not connected to the main plot and so distract the reader as opposed to compelling her to read on. The best sub-plots mirror the main plot. Think of Pride and Prejudice--all those sisters, all those sub-plots! But they are intricately intertwined with the main Elizabeth/Darcy plot. Good for you, Margaret! I always tell writers to look and see what happens on page 50--because often that's where the story REALLY starts. The first 50 pages were just a warm-up. Paula, I'm always looking for plot help, so this one is definitely going on my list. I plot "intuitively" in that first draft, but subsequent drafts are for looking at the structure and deciding what's too much, what's missing, what's slow, etc. And titles. Argh! Don't get me started! The things I come up with never seem "hooky" enough to me (although I've been told the title of my first, about to be ready for the next stage, novel is good - Every Other Monday is Murder. And Hallie, I'm so glad to hear you say that about the body. My body doesn't show up for a few chapters, but editors have told me the pacing is good, so I went with it! Mary, the second draft is the perfect time to refine your plot. Kudos! As for your title, that IS a good one. When I was in acquisitions, my job was to come up with good titles. And generally speaking, shorter was better--unless the title was long (Oldest Living Confederate Widow Tells All, etc.) Yours is that exception. I understand the rise and fall concept of plot. My biggest problem is figuring out what to make the plot about, and I tend to get bogged down in making the various choices of which direction in which to head. I keep making false starts and running out of gas. So I admire, so much, those of you who can pinpoint a map of where to go, and then just head there. Edith, I cannot even imagine how you do this with so many different characters and venues! I completely agree Paula. As a beginning writer, one must know the "rules" as they are generally understood. I was simply saying that one can not always base their decisions on what has been done before. It is certainly easier for an established writer to take chances, but let's face it, Gillian Flynn has been writing completely unlikable characters from her first novel. It's just that most folks discovered her via Gone Girl. 1) Ask yourself what your story is REALLY about (in a mystery this often relates to motive): Revenge, Greed, Jealousy, etc. 2) Watch a favorite movie in your genre and make a scene list of what happens in each scene from beginning to end. DO this three times, and you'll have three plots outlined, and that will give you a sense of the structure you need. Agree, Kristopher. I think what made Gone Girl stand out among her other books with unlikable characters is that the situation they were in--a relationship gone bad--was something so many people could relate to. Most of us have been in relationships where both parties acted badly--and Gone Girl is that taken to the Nth power! On Gillian Flynn, I loved her first, SHARP OBJECTS (it was nominated for Edgar for best first), and I don't remember that character being despicable. Damaged, but not despicable at all. Hallie, I do think that speaks to a trend we're seeing now..."Unlikable" now is not what it used to be! No questions - just wanted to echo Hallie and say I wish I had had PLOT PERFECT when I was starting my first novel! It does sound like the perfect gift for the writer in one's life. It's always good to be reminded of things like you walk about. I can always tell when a writer doesn't know plot that well when I'm reading a book. Biggest thing for me? Every scene needs to matter to a plot or sub-plot or character development or something. Otherwise, you are just wasting my time. Thanks, Julia! I love your novels, and cite them as examples in Plot Perfect (as I do Hank and Hallie's work as well). Jungle Red rocks! Exactly, Mark. That's a good revision exercise: Ask yourself as you go through the manuscript if you really need each and every scene. Thanks for the suggestions, Paula! And for writing the book. Seems I have some serious homework to do. Karen! Thanks for dropping by! Ray's book is great--and he's the perfect example of a writer who did his due diligence and made it happen. Of course, you were the wind beneath his wings. We could all use a Karen Salemi! Hi Paula--Ordering your book right this minute. And I'm struggling with a title at the moment, so the title section would be especially helpful. I've always been fanatic about writing in scenes and keeping strictly to one POV per scene. Floating around in POV within a scene drives me crazy. Not quite the same as omniscient but almost as irritating. I haven't made the leap to reading books with unlikeable protagonists. Too many books, not enough time. Thanks, Deborah! I hear you on slipping from one character's POV to another in the same scene. That kind of head-hopping drives agents, editors, and readers crazy. Like watching a tennis game on fast forward! Paula, first let me say, coming from a teaching background, that you are the perfect teacher. In the conversation here, you are never pompously didactic in imparting your advice and knowledge. You actually listen to others' comments and respond with understanding and assimilation of their comments into what you are advising/teaching. Your book must be exceptional. I will be buying two copies, one for my son, who is finally beginning to believe he can be a writer, and one for me, who still doesn't rule out the writer possibility, but is interested in all things writing, too. Great titles are a favorite subject of mine, and I even have a category "great titles" in my Goodreads book shelves. As a fan of alliteration, I often gravitate toward clever titles that contain it. However, I'm wondering what you think about alliterative titles. Do you like them? I admit that while liking them, I think that there could be a problem with being too cute. I do appreciate titles that take on multiple meanings within the book. I think Hank's titles are most effective in this achievement. Wrong Girl and Other Woman are so cleverly interwoven throughout the books in diverse application. It was interesting to me what you said about prologues and the ensuing conversation in the comments. I actually like prologues in books, but I do agree that calling them that is probably a mistake. My son was just talking about including one in what he is writing, but what he described to me fits. I'm thinking that it is like so much else in writing, a case by case decision. To me, the ones I've read that worked well served to whet my appetite for what was to follow. And, I do think that to achieve breaking the rules successfully, there needs to be an underlying knowledge of rules, a building upon that knowledge. When I worked with writing portfolios, 4th graders and 12th graders, I emphasized creating a basic knowledge of writing elements before a student could sit down and write a coherent, meaningful piece. Unfortunately, with students that involves basic grammatical knowledge as well as writing skills, and that can be one long winding road. So, kudos to you, Paula, for using your knowledge to help others. While writing is a solitary activity, it is comforting to know that there is much support out there and those willing to share their expertise. Thank you, Kathy, for such a thoughtful commentary! Teaching has come as a surprise turn in my career. I started off as a writer and editor, then became an agent after 20-plus years in publishing. Teaching has just sort of happened. I never thought I'd be very good at it--and my kids used to tell me when I helped them with their homework that it was a good thing that I wasn't a teacher, lol--so it is gratifying to hear that I might be good at it. Of course, teaching writers is a lot easier than teaching kids! As for titles, I'm for a little alliteration: Gone Girl, Pride and Prejudice, etc. But you can overdo anything. It's conventional wisdom among editors that most readers skip anything called an Introduction or a Prologue. So writers should keep that in mind. Perfection, checking in with JRW today! I'm buying this book for myself for Christmas. My strength is character -- plot I have real trouble with. It's not like I don't know about the three-act structure, but I still struggle. Sometimes I wonder if it's because I work in multiple thirds -- complexifies (is that a word? :-)) things. Paula, I'm going to buy your book today, because as someone mentioned, I also need to think about plot in a more deliberate fashion. In my very first book, I would take my pages to Jonathan, you know, five at a time as I wrote each day and he'd read, and laugh, and I'd be happy. I gave him pages 45-50. I waited, needily, for his response. I came in, upset. "It stinks, right?" Jonathan looked--puzzled. "Honey," he said. "Is something going to happen soon?" I cut the first fifty pages. Interesting point, Lisa. Working in multiple POVs can be tricky. But I thin the trickiest part of plotting a mystery is that you have two main story lines: the true one, which you hide from the reader and only reveal over time, and the one you show the reader. Figuring out what really happened (the truth about the crime and your suspects) and then deciding what to tell the reader when about what really happened is the crux of plotting a mystery. Ha! Great story, Hank! Jonathan really is the soul of politesse! That said, this is so common that it's practically a cliche. I think it's because that first 50 pages are the ones in which you as the writer set the stage for the story you're really going to write. Like stretching before a long run. That's so true, Paula -- writing mysteries isn't for the literary faint of heart! I'm counting scenes -- counting, counting ... Whew! Got it! When I'm writing, I ALWAYS feel like structure is the hardest piece of the puzzle, and once it snaps into place, the picture emerges. Thanks for another set of tools, Paula! Hi, Paula - Thank you for writing PLOT PERFECT. I picked up a copy at Crime Bake and am finding it helpful. Your book will take its place next to Hallie's and Chris Roerden's how-to's. You bet, Leslie! Happy Plotting! Good question, Rhonda. When I wrote my first novel, Pamela Jekyl reviewed it for me, and she told me that my big scenes were too short, especially in Act III. She told me to make my big scenes twice as long--but not to add any more events, just milk what was there. You might try that. "it’s a red flag for editors; they assume that you don’t know your craft well if you are using omniscient POV. It can mark you as an amateur." like Deborah Crombie and Louise Penney? Amateurish like them? Penny writes a series set in Canada. So they can get away with omniscient POV. If you're writing a debut series set in the USA and want to sell to US editors, you use omniscient POV at your peril. What a great interview and question and answer postings. I'm sorry I'm a day late (and a dollar short? ), but I'm a huge fan of your new book, Paula. It was immensely helpful when I did a rewrite of my book, which probably helped you being able to land a deal for me. I'm teaching/mentoring in the WCSU MFA program this semester, and your book will be required reading. I read your interview the day it appeared, Paula, and put your book on my Wish List. This discussion has gotten better and better. What a thought-provoking site is Jungle Red Writers! Thanksgiving Disasters--Reds to the Rescue! Reds take Bouchercon again: BALDERDASH! Edith Maxwell and all her aliases! Sheila York — "Don't Slam the Door on the Way In"